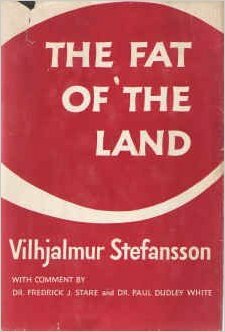 I just came across a pdf of Vilhjalmur Stefansson’s book, The Fat of the Land, which I have heard of but never read for myself. It’s high time, I think. I’m jumping in, with thoughts and impressions to come as I make my way through it. Please join me in reading and discussing as I go along! I have struggled with my weight since childhood, and with the ill effects of a typical, Western carb-laden diet increasing ever since. At the ripe old age of 48 I have battled diabetes since I was in my twenties (now, praise God, reversed by diet alone — no pills, no insulin!) and had a partial hysterectomy in my thirties due to a pre-cancerous uterine condition. I have been hospitalized twice (a two-week stretch and a one-week) over the past three years for a combination of symptoms that remained inexplicable and, therefore, untreatable by teams of doctors. Although it is under excellent control today, years of whacked out blood sugar has taken its toll on my body in the form of damage to my vision, nerves and kidneys. Our first serious foray into the low-carb, high-fat world resulted in a weight loss of about 60 pounds for me, as well as the aforementioned regulation of blood sugar. In essence, my body is at long last handling glucose as it was designed to do. Good news (and news I assumed would be the end of this journey, only requiring maintenance from here on out), but I still have some stubborn weight to lose, particularly around the troublesome belly area, and most of the symptoms that took me to the hospitals remain. Which is what brought us to this place of exploring where else we could take our diet to address this next phase of my problems. So here we are, following in the footsteps of Vilhjalmur Stefansson, known in dietary circles for observing and replicating the Inuit diet consisting primarily of meat. Having been diagnosed with Stage 4 kidney failure during that last hospital stay, I was advised to restrict dietary protein. After the many times the medical community has failed me, I find myself skeptical (at best) of any dietary advice they offer. So I’m busy researching the underlying science of it all to try to understand and determine what, exactly, my needs are in that department, and how best to fuel this body of mine with its various issues. Dear readers, please share any knowledge and/or experience you have on this topic in comments! But know that anything associated with Conventional Medical Wisdom will be heavily questioned and researched. 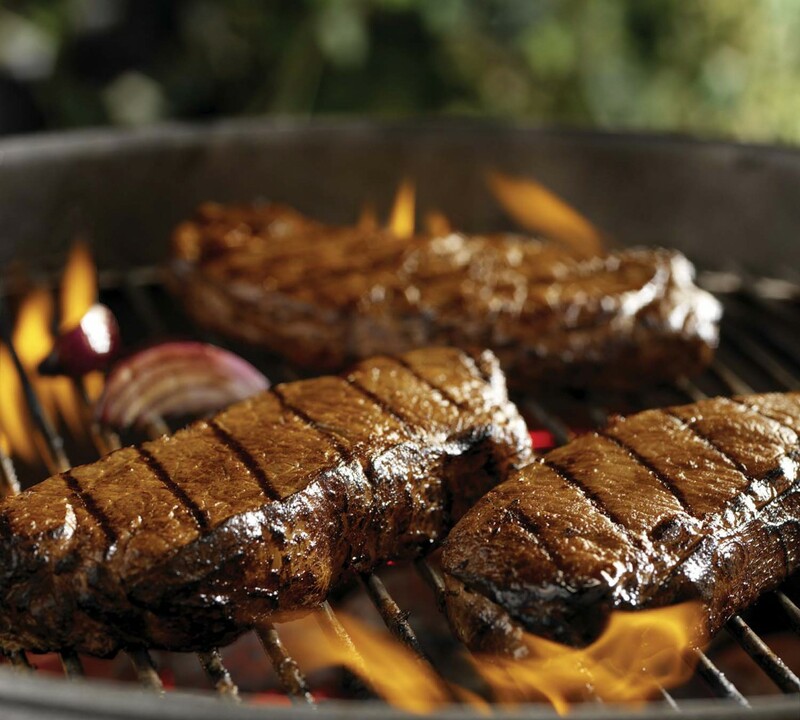 In the meantime, please come back and visit us frequently here at Vida con Carne to find out about how our new diet is progressing, how it is impacting our health and, of course, ALL THINGS MEATY!